With an aisle of competitors in the wine department it is often hard to know which to choose. The ones on offer? The high priced, for hope of a better quality? The first one you see? But I am here to give a helping hand. And I truly think I have found Hardys’ best kept secret. 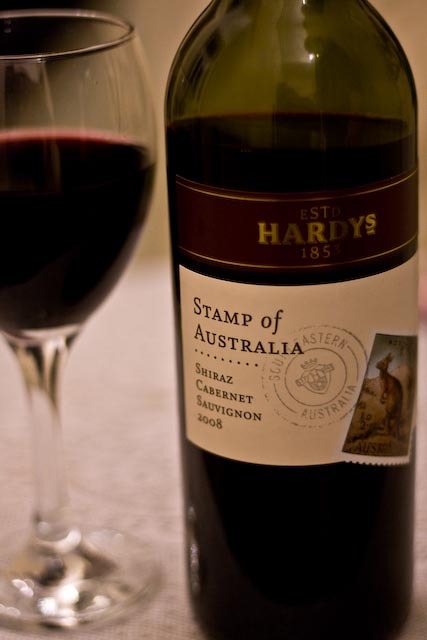 This reasonably priced Australian merlot did, no less, surprise me in such a way I had never expected. Now I am a big wine drinker; it’s all about the rich reds for me, but I must say I have never seen reason to spend more than a fiver on a bottle. ‘They’re all the same really,’ I have told myself on occasions whilst I scout the shelves for the cheapest I can find, ‘There’s a three pound-fifty here!’ I scream proudly. ‘I can beat that; two ninety-nine!’ My boyfriend calls back with a triumphant smile. And I’m sold. But today, for the purpose of this article I went all out on a bottle costing a fair six pound forty-nine. And for us students that is quite enough. Its mid-market status spurred an automatic intrigue in me. This may not be the best, but would I be able to taste the few extra pounds? And unwillingly I must admit I did. Be fearful; your purse strings may be pulling a little tighter once you have tried this. Picture luscious grape vines, crisp against a blue sky, as far as the eye can see; this is where this wine will take you. In my mouth it battles between the sharp berry flavours and a sweet, sweet undertone. It’s delicate on my palette and sophisticated above all. It hugs me and, as though magic absolves all the stress of the day. This is to die for. A perfect companion to both quivering red meats and Jane Austen novels. I highly recommend.